KJIPUKTUK (Halifax) – A 65-year old New Glasgow woman has been ordered to vacate the only house where she can live in relative safety. Wendy Kearley lives with severe Multiple Chemical Sensitivities and is convinced that the forced move will cause her serious harm. Her landlord, the Eastern Mainland Housing Authority EMHA), considers Kearley over-housed because she lives in a subsidized three-bedroom detached house by herself. 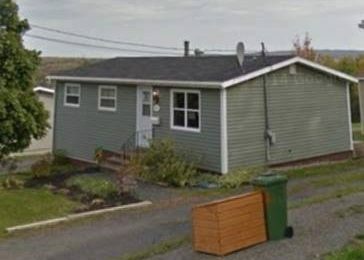 The EMHA, one of five Housing Authorities in the province, is part of Housing Nova Scotia, a provincial government corporation with the minister of Community Services in charge. “I have letters from doctors and nurse practitioners saying that for me to move will worsen my condition. Yet they are evicting me by the end of the month. There is no place to go,” says Kearley. Kearley has been diagnosed as suffering from fibromyalgia and chronic fatigue, which are often accompanied by Multiple Chemical Sensitivities (MCS). People with MCS are adversely affected by exposures to many common products such as pesticides, perfumes, gas, car exhaust, paint, even plants and trees. This is why Kearley’s life is full of potential dangers. She almost never leaves her detached house, which she has called home for 27 years. Francis Campbell of the Local Xpress reports that Kearley must wear a protective Tyvec coverall and an air-purifying face mask even when she briefly opens the door. It’s that sensitivity that makes finding an alternative home for Kearley almost impossible. An earlier eviction notice for July 31 was extended by two month, but that date of September 30th is now rapidly approaching. “My daughter has been talking to landlords trying to find me something. The stress load on my family and friends and me is terrible. I need to stay. Walls, floors, all absorb chemicals, and I could not live in those houses. If the place was vacant for a year, that might do it, but even then there is no guarantee,” she says. The Housing Authority is not budging. “The Housing Authority offered me a subsidy that covers my heat and light. Why not offer that same subsidy to a family on the wait list? I am not taking anybody’s place, that’s just how Community Services wants to spin the story,” she says. It should also be noted that her medical team has recommended a 2 bdrm detached home in order to slow the progression of the condition. They recommend she have nothing in the bedroom except the bed, and the second room to offgas supplies coming in from outside the home as she is unable to “air out” outside. So this “over-housing” technicality is about a small extra bedroom. If she needed a wheelchair ramp to make her home accessible, would they evict her to a place with stairs because she is “over-housed”? Or would they stop wasting money trying to evict a disabled person and try to acquire more accessible properties ahead of an aging population who will inevitably need them. Excellent points. I will add these to my letters to the deciding parties! J Mac, good point. This is eviction is ridiculous. Allow Wendy to stay where she is safe. Give the offered subsidy to a family to help them with housing. It’s a break-even and everyone benefits. I was on the housing waiting list for 6 years when they finally decided to subsidize where I lived for those 6 years. I guess they caved in cause there are only 3 units that I could live in .. must be main floor.. and they say 1 bedroom.. I also have fibromyalgia, chronic fatigue, IBS, and now Diabetes and hypertension.. and I really wanted to move out of here. the former to the latter group.